We're sure your little one will love this wonderful set of 5 finger puppets and 6-page soft book-with a pocket for each puppet! The smiley, colourful finger puppets will encourage baby to focus at varying distances as they follow the movements of your fingers. 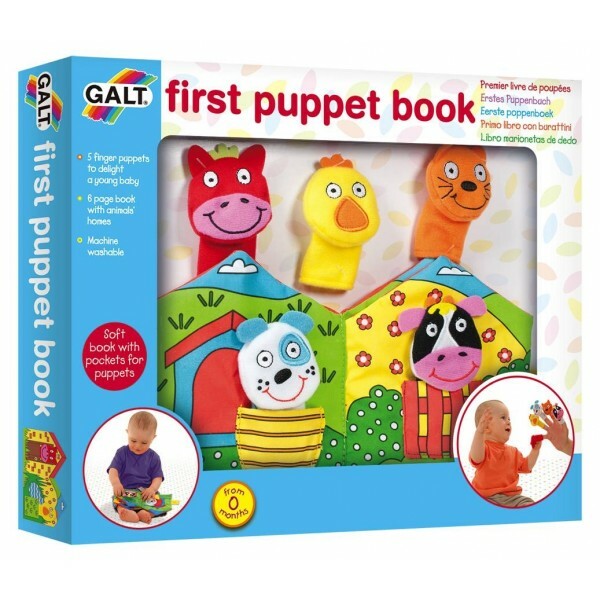 As baby develops, place the puppets in the pockets of the soft book and talk about the animals in their homes. Learning to read has never been so entertaining! A charming way for parents and children to read together, introducing your little one to the wonders of storytelling for the very first time!